Pratibha Syntex, a leading name in the Indian organic cotton industry, is renowned for sustainable textile products. Its clientele covers leading global brands. The company hopes to grow internationally in a short span of time. In an interview with Fibre2Fashion.com, Mukesh Matta, VP-Business Development and Sustainable Initiatives of Pratibha Syntex talks about the company’s expansion plans. What is the size of the organic farming industry in India? How much of this is held by Pratibha Syntex? In India, organic cotton is produced over 101 million hectare. Average annual production is recorded at 222 million bales. Pratibha Syntex is engaged with around 16,000 farmers and uses around 5,000 MT of organic cotton lint per annum. Pratibha’s USP is responsible and responsive fashion, from farm to fabric. Pratibha considers sustainability one of its core values. Our focus is on-time delivery and we continuously work towards reducing lead times. What sustainable solutions are followed in the Indian textile manufacturing industry? Which, according to you, are the areas of improvement? Sustainable solutions in the Indian textile manufacturing industry are mostly material-driven. Some examples are: 1. Organic cotton, BCI and fair trade as sustainable cotton fibre 2. rPET (Recycled Polyethylene Terephthalate) as manmade synthetic fibre 3. Lyocells as regenerated cellulose fibres like Tencel, Excel etc The focus should now shift to processes and practices for the next area of improvement. 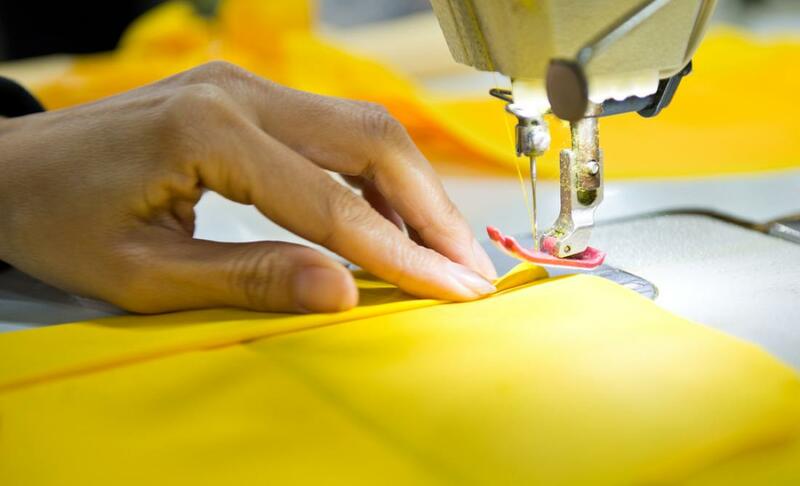 How can wastage be minimised in the textile and garment manufacturing processes? What role does Pratibha play here? The approach to reducing wastage is multi-pronged at Pratibha. We take steps like: 1. Reducing waste through shorter process cycles with low impact chemicals 2. Maximising reuse of waste during the intermediate process 3. Maximising dyeing on low-salt and salt-free methods to reduce final sludge 4. Working on the best marker efficiency by incorporating this as an integral role of the design team. What has been the growth percentage at Pratibha Syntex over the last five years? We have managed to sustain growth despite a challenging market. The average turnover in the last five years was around Rs 825 crore. With increasing demand of value-added products, we have introduced a range of new products. These have impacted our business positively. Please share details of your last two fiscals and your expectations from the coming two. We posted a turnover of Rs 828 crore and Rs 819 crore in fiscal 2014-15 and 2013-14 respectively. We are expecting a turnover of Rs 1,500 crore by 2020. What are your latest research findings? The latest research trends focus on new fibres like nettle, considered one of the most sustainable fibres. It consumes negligible water and grows on arid land. 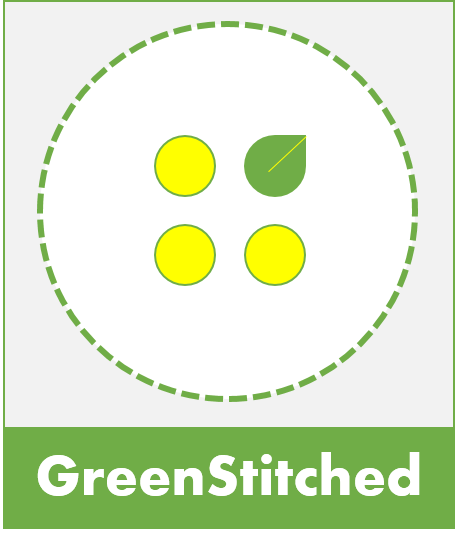 It is one of the best ecologically suited natural fibres and can change the future of the clothing industry. In time, I will be able to reveal more about this project. This entry was posted in Conversations, Manufacturing and tagged fibre2fashion, India, Pratibha Syntex, Textile. Nike has just come out of the starting gate with some new initiatives aimed at taming its corporate and supply-chain footprint, and as usual it has hit the ground running. Its latest sprint includes a collaboration with the Massachusetts Institute of Technology, a Materials Challenge seeking “revolutionary new ideas” on innovative and low-impact fabrics and textiles, a commitment to fully power its company-owned and operated facilities with renewable energy within a decade. Oh, and an updated app so that your company can follow in Nike’s footsteps. The MIT announcements represents the next chapter between the two organizations to study the environmental and social impacts of the key materials used to make most apparel and footwear products: cotton, polyester, leather and rubber. An MIT report, commissioned by Nike and released last week, looks at and quantifies the impacts and key hotspots where these materials have significant climate and other environmental impacts. We really need to kickstart a much bigger conversation with the industry as a whole and start to send signals to the materials vendors and the chemical companies that do the inventing behind them. Nike has opened a portal within MIT’s CoLab, a crowdsourcing platform “where citizens work with experts and each other to create, analyze, and select detailed proposals for what to do about climate change.” The CoLab, housed within the school’s Center for Collective Intelligence, hosts “contests,” each focusing on a Big Question related to climate change — for example, the hardware, software and business models that can increase urban energy efficiency; actions that can address energy-water nexus challenges; and how to mitigate the urban heat island effect — more than two dozen altogether, though participation in some is light. The climate and other environmental impacts of clothing and footwear don’t usually rank up there with coal-fired power plants, cement manufacturing and — well, smog-spewing Volkswagens — as major contributors to climate change. But as the new MIT report points out, the impacts aren’t trivial. Example: The emissions associated with a single T-shirt is roughly equal to the carbon footprint of driving a passenger car for 10 miles. That puts the materials community — the companies, industries and individuals who work with or make decisions around materials — “in a unique position to enable sustainable patterns of consumption,” says the report. The industry’s clout is driven by its size. 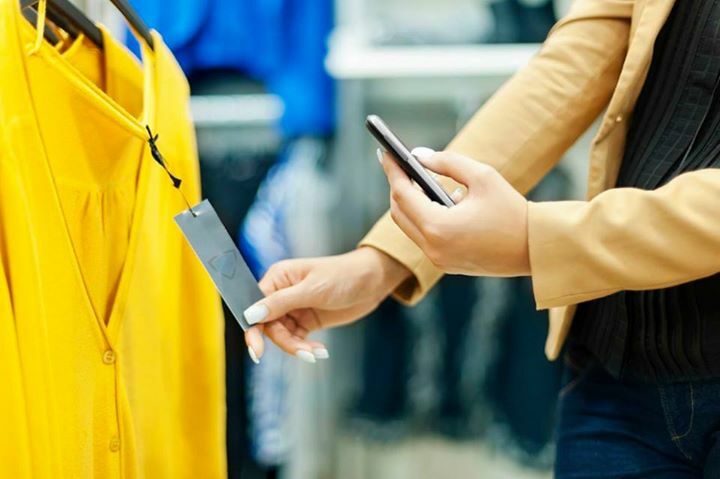 The global apparel industry produces more than 150 billion garments in a typical year — equivalent to more than 20 new articles of clothing for every person on the planet — and is a $1.8 trillion market. In 2015, the industry is projected to use nearly 100 million tons of fiber and filament yarns, about 40 percent agriculturally derived (cotton, wool, etc.) and 60 percent petroleum-based synthetics (polyester, nylon and various blends). Both have climate impacts. And then there’s water. It takes several dozen gallons — more than 400 pounds — to process just one pound of textiles, according to a 2009 study. Given that footwear and apparel manufacturing is concentrated in a handful of regions, that can lead to significant water stresses. For example, in 2009, textile production ranked third among major industries in China in terms of total wastewater discharge, primarily from the dyeing and finishing steps of manufacturing. I actually love it when things become competitive because that means it’s going mainstream. This is hardly the first initiative by Nike to transform its industry and supply chain. Indeed, the company’s materials and manufacturing innovation initiatives and achievements, led by Jones, has a long history, as we’ve reported for years. The company is one of the top buyers of organic cotton. Its factories have moved to water- and chemical-free dyeing. It has stopped sourcing leather from the Amazon rainforest. It has recycled countless millions of plastic bottles into garments. It has been on a journey to achieve zero discharge of hazardous chemicals throughout its supply chain. And the company has shared its innovations, from scoring the environmental attributes of materials to sharing patents. A few years ago, Nike partnered with NASA and two other U.S. federal agencies to identify game-changing innovations, such as sustainable fabrics, or how to transform waste systems in both developed and developing countries. Two years ago, the company publically released an app, called Making, to allow designers to research fabrics or materials on such things as water consumption, chemistry, energy and waste. Last week, Nike released an updated 3.0 version of the app, which includes comparisons of the energy used and greenhouse gases created during the production of each material. I asked Jones how the company walks a fine line between sharing such information and staying a step ahead in a fiercely competitive sector. Nike is far from alone in seeking materials innovations. Patagonia, for one, has been continually pushing the limits of innovation — everything from “ethical goose down” to Yulex, a substitute to petroleum-based neoprene for wetsuits, derived from guayule plants indigenous to the southwestern United States. Kering, which owns brands like Gucci, Saint Laurent and Puma, last year opened a Materials Innovation Lab in Northern Italy, dedicated to helping making more sustainable choices in their supply chains and products. Adidas announced last week that it will use worn-out cleats and combine them with scrap materials from other industries to make new cleats. Increasingly, such innovations are coming from sources outside the company walls. “Somebody once said to me, ‘There are a lot of really smart people out there. And most of them don’t work for you,’” says Jones. And, she adds, some innovations even come from outside the sector, requiring Nike to tap nontraditional sources for innovation. The CoLab challenge is part of that effort. “You need to fail early and fail fast many, many times to get to the one thing that you can change and disrupt an entire market,” says Jones. For example, she says, Nike approached a number of companies asking, “Can we knit an upper using 3D geometry and complex algorithms that will help the athlete and support the foot?” It took many iterations until they succeeded. Another goal, she might have added, is to make sure that mindset becomes mainstream, the way the race is run. This entry was posted in Brands, Conversations and tagged GreenBiz, Innovation, Joel Makower, MIT, Nike, Textile. Can China’s textile industry clean up its supply chain? As part of BSR’s Business Leadership for an Inclusive Economy initiative, we are running an interview series with thought leaders from business, government, civil society, academia and philanthropy. Their voices and perspectives will help deepen our conversation on how we can build a more inclusive economy and how business most effectively can contribute to that vision. We spoke to Liang Xiaohui, head of social responsibility for the China National Textile and Apparel Council (CNTAC), about striving for good jobs in textile manufacturing, technology changes and impacts on workers and an inclusive future for the industry in China. Racheal Meiers: What does it mean to be included in the economy? 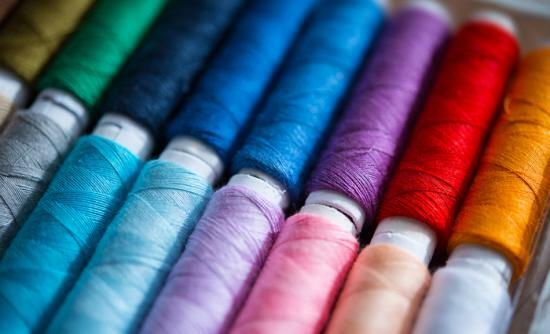 How does the textile industry make the economy more inclusive? Liang Xiaohui, head of social responsibility for the China National Textile and Apparel Council (CNTAC). Liang Xiaohui: To be included in the economy fundamentally means to share the results of social and economic development by creating an equal opportunity for everybody to be active in economic activities and decisions. Specifically, the textile industry creates jobs for people without a lot of education and skills — that’s why manufacturing is quite important in an economy, especially in developing countries. To achieve an inclusive economy, it’s very important for businesses and also governments to think about how the interests of employers and employees can be balanced — and the voices of workers can be heard and their concerns can be addressed. As we look toward the future, this balance will be even more important. For instance, if we can upgrade technologies and equipment and, at the same time, educate workers and let them upgrade themselves so that they have opportunities for better, higher paid, higher skilled jobs, that will be a big step toward achieving an inclusive economy in our sector. Meiers: Given where things are in China right now, with changes in the labor force and competition from other countries in manufacturing, how do you see inclusion as fitting into this context? Liang: In this context, we can no longer rely on lower wages or lax environmental practices to be competitive; we have to evolve to a higher stage of the supply chain to compete. Getting there will take two critical elements: The first one is to be innovative, such as upgrading technologies in manufacturing; and the second is building a workforce of people that can effectively work with and work for innovations. To support our efforts to upgrade our industry, we have to build up our human resources potential and give people, especially existing textile workers, more opportunities to learn expertise and skills. Meiers: How are your member companies approaching technology upgrades and related labor force engagement? Liang: That’s really a big question, and I cannot give you a general answer because we have almost half a million textile and garment companies in China. But I do see that many companies are working hard to incorporate technology tools for different purposes, such as reducing pollution and increasing efficiency. A very popular idea in our industry now is to exchange human power with machines, which is in part driven by the lack of skilled workers, and even a shortage of low- and unskilled workers in China in recent years. At the same time, there are factories that are working to invest in their workforces. They are calling on government and associations like ours to improve education and vocational training to support upgraded skills in the industry. Some factories are also taking these steps themselves. For example, one factory I recently visited is investing a lot of money to purchase very advanced equipment from Europe. To support these technology upgrades, they have also started their own academy, a professional training school where they can train their workers and future employees on how to work with the new equipment. This factory sees investments in the expertise and skills of their workers as part of the process of upgrading their technology hardware. And they also understand it will be important to pay higher wages to the workers who become capable of operating the new machines. Meiers: That’s an encouraging example. How is the Chinese government getting involved in these issues of workforce skill development, to support technology upgrades in the manufacturing industry? Liang: The government has been monitoring this issue for many years. Recent policies from 2014 require that a minimum of 30 percent of local additional fees on education shall be used for vocational education, and the enrollment of vocational schools should raise from about 30 million in 2012 to more than 38 million in 2020, almost a 30 percent increase. This will help transfer more young people into vocational schools, making them advanced industry workers with skills and expertise. The young people see where the economy is going and understand that to be included in that future economy, they need to know the skills required by it. For example, there was a story last year of a young man who quit Peking University to enroll in an occupational school to become an auto mechanic — he did this because he liked the work, but he also knew that the auto maintenance industry in China is very underdeveloped for the demand that is coming. Meiers: Shifting gears a little bit, let’s talk about the current workforce in textile manufacturing. Who are some of the most vulnerable people that are taking these jobs, and how do you work with your CNTAC members to identify these groups of people and put in place mechanisms to support them? Liang: I think the most vulnerable group in the industry is migrant women workers in their 30s and 40s. In the labor market, in the factory, they are not in a very good position. They have very low representation in management, and they have low levels of training and education as compared with male peers. The reason for this is that most of them come from villages and underdeveloped regions, where women have a very low status and so don’t receive as much education and opportunity. We are actually doing some work with BSR to support these women, and all women workers in the industry. Though more than 65 percent of workers in the industry are women, they hold very few positions in management. Working with BSR, and learning from your expertise and experience supporting women’s empowerment in China, we are hoping to build up the potential of individual women to expand their skills and advance to these positions, while at the same time working to expand management’s understanding of women workers’ potential. Meiers: In these collaborations, what opportunities do you see? How can we expand partnerships to support a more inclusive economy? Liang: I think the greatest opportunity from our collaborations is that we are a national business association and you are an international business association, of sorts. And this is critical, because we are working at both ends of the supply chain. A lot of your members are buyers of our members. So in working together, we can try to mobilize both ends of the international supply chain. So many issues can be addressed in this way. Read perspectives on the inclusive economy from The Rockefeller Foundation’s Zia Khan, Western Union’s Talya Bosch and GlaxoSmithKline’s Clare Griffin. This entry was posted in Conversations, Manufacturing and tagged China, CNTAC, GreenBiz, technology, Textile.